We are looking forward to a big week of training and competing! Some of our instructors will be out of town competing and coaching at the IBJJF Vegas Open. Marathon roll is on as usual and this week is gi. Pack up your pajamas and come choke your friends! Women's class will be off but back on next weekend. Kids' class will be on a short break until next Tuesday. Train hard this week and good luck to all competitors! Tonight! No Gi Marathon Roll at Upstream BJJ! 6:30-7:30, 10x5 minute rounds. All teams and affiliations welcome! Get ready to train this weekend at Upstream BJJ! Don't miss marathon roll on Friday and open mat on Saturday. Women's class will be ON with a guest instructor. This week marathon roll will be in the gi and as always open mat is whatever you make of it! Call a buddy and get some great drilling in this Saturday 12-2. Marathon roll will start at 6:30. Open to all schools and affiliations! 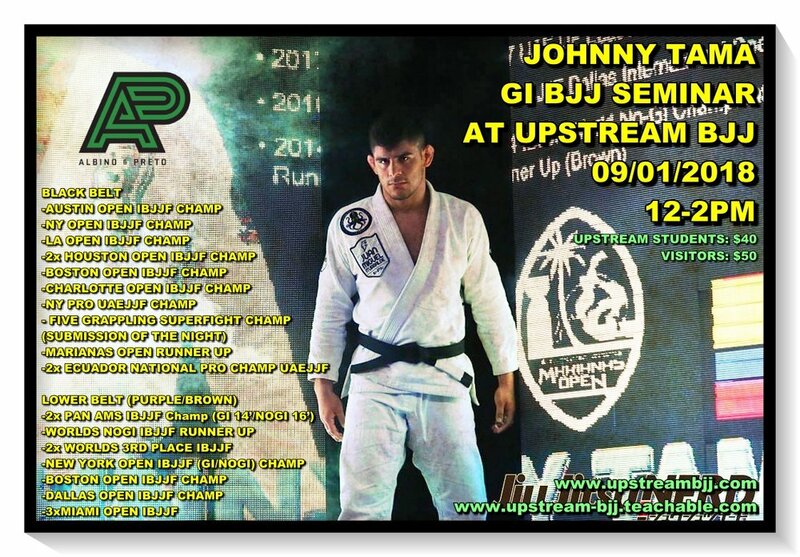 This September black belt and accomplished competitor Johnny Tama will be at Upstream! You may know him from his infamous footlock, the "tamalock" which he has used to quickly submit numerous opponents. The seminar will be from 12-2 on September 1. It is $40 for Upstream students and $50 for visitors. This seminar will be in the gi. Get ready for the fall competition season and add some new tricks to your arsenal! 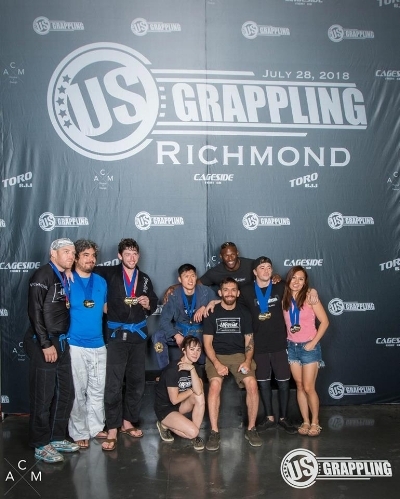 With only nine competitors from Upstream competing at US Grappling Richmond, the team still managed to bring home 11 gold medals. All of our female competitors took gold in all their divisions, a first time competitor took double gold, and two of our blue belts were able to close out the absolute division after winning gold in their weight classes. It was an amazing display of teamwork and support as those not competing scrambled around the venue to help their teammates. Thank you Upstream, you impress us every day! Thank you to CAM Photos and Design for the amazing photographs as always! Marathon Roll 7/27/18 and Competition Weekend! Tonight, Friday 7/27/18 Marathon Roll will be in the gi! As always, 10x 5 minute rounds - do one, do them all! Get some hard training in before the weekend begins. We will be closed this Saturday 7/28/18 so the team can go compete and support each other at the US Grappling tournament in Richmond. Women's class and open mat will be back on next weekend! The students at Upstream got an awesome surprise this Wednesday when BJJ Black Belt and UFC fighter Wilson Reis stopped by to teach a special no gi class. He showed us some great passing drills and deep half guard sweeps before rolling with the students. You never know who will show up at Upstream but one thing is for sure, we always have the best guests! 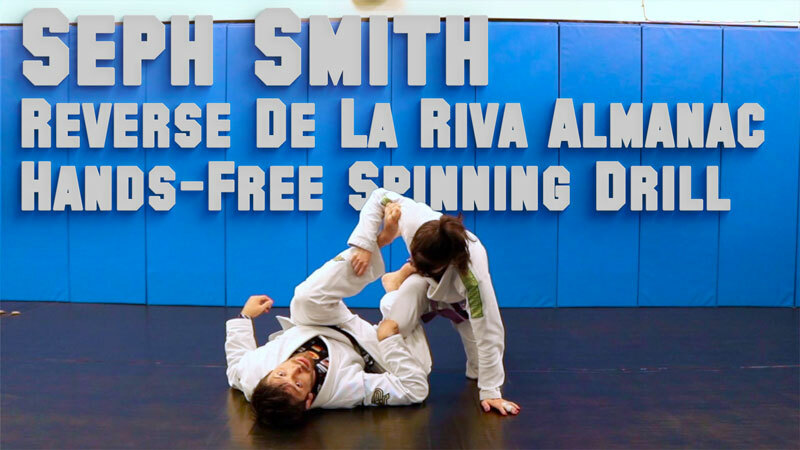 Check out Upstream BJJ Head Instructor Seph Smith's new DVD with Digitsu! 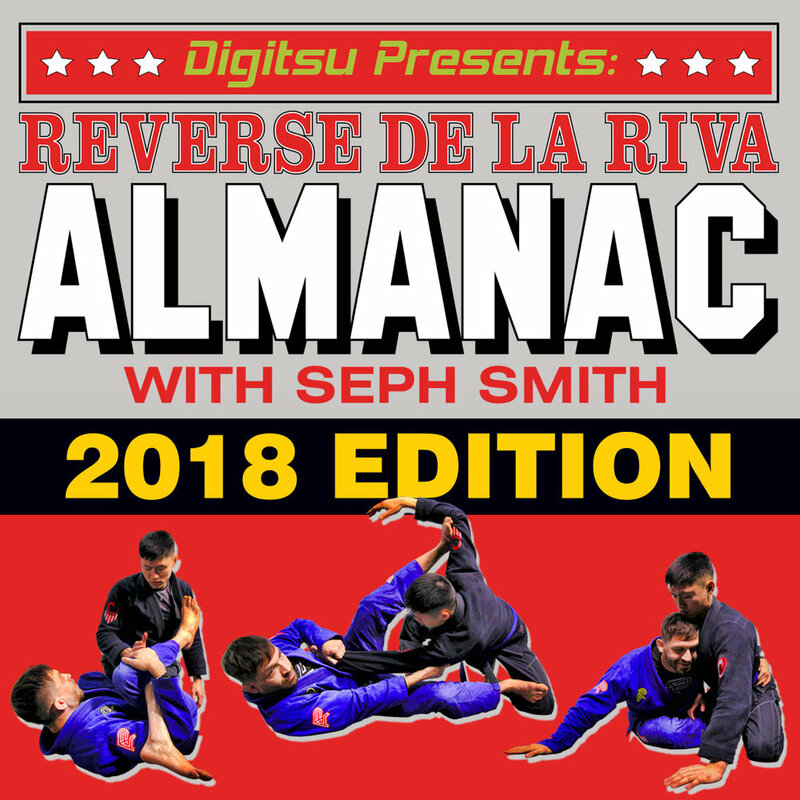 Get comfortable in the reverse de la riva and learn valuable concepts to apply across your jiu jitsu. Available here ! Check out this hands-free drill from Upstream BJJ head instructor Seph Smith. He has a new DVD out with Digitsu, available for pre-order! After a short break, women's class is back on schedule this Saturday at 11. 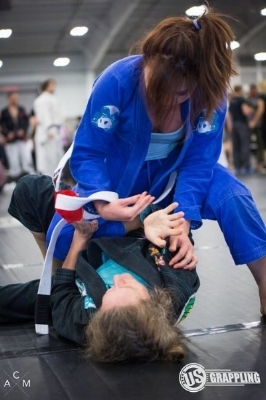 Bring your gi and get some training in with other jiu jitsu women. Stick around afterwards for extra rolls at open mat! Tonight marathon roll is in the gi! 6:30 - 7:30 10x5 min rounds! Come get some training in! And don't forget 1-3 this Sunday, Jake Mackenzie half guard seminar! It's a great weekend for jiu jitsu in Richmond! We will not have women's class on Saturdays from 11-12 until 7/14. So save your energy for the next two weeks and be ready to come back and train in July! Come in tonight at 6:30 for 10x5 minute rounds in the gi! All you need is 6 months of experience and a clean gi. All teams and affiliations welcome. No mat fee no drama just hard training! See you tonight! Tonight's marathon roll at Upstream BJJ will be no gi! Get some hard training in before the weekend! 10x5 minute rounds, do one do them all! Open mat this Monday 5/28! Come in and get some rolls in before your cookout 12pm - 2pm. Free and open to all academies. All teams and affiliations welcome! Come get in 10 rounds in the gi before the weekend. 6:30 pm at 207 N 3rd Street. Free to all! Have at least six months of Brazilian Jiu Jitsu experience? Come join us tonight at 6:30 for marathon roll. That's 10 five-minute rounds of sparring. You do one, you do them all. Get a hard workout in then go enjoy your weekend! Tonight's marathon roll is in the gi. This is a totally free training session open to all academies and affiliations. See you tonight! We had a great showing of skill, heart and grit this weekend at US Grappling Richmond. The team took home four gold, four silver and two bronze medals in both adult and kids' gi and no gi divisions. They have all been training hard and their results show it. It was inspiring to see how everyone supported their teammates and could share in all aspects of the experience. On to the next one! No Gi Marathon Roll Tonight 4/27! Marathon roll tonight at Upstream BJJ will be no gi! Marathon roll is free and open to all gyms and affiliations. All you need is six months of experience. We look forward to seeing everyone there! Upstream BJJ will be closed this Saturday, April 28, for students to compete and support the team at US Grappling Richmond. Women's class and Open Mat will be back on next week. Good luck to all competitors! Get started now with a free trial!